June is a lovely month to be out in the garden, the flowers are in bloom and you can start reaping some rewards from all your hard work. It can be dry so giving your plants lots of water is a good idea. During June there is so much to do it’s hard to keep on top of it all, one of the main tasks is thwarting those pesky weeds. I’m installing a drip irrigation system to help save labour. This time of year aphids are a particular problem on beans and peas. One safe way to reduce their numbers is to pop a bit of soapy water in a spray bottle and give them a good old squirt, another slightly more toxic way is to collect cigarette ends, soak these in water and apply with a spray bottle. Ladybirds are a great help in the battle against aphids they will munch their way through loads of the little blighters. You can encourage ladybirds by planting calendula (marigold), limnanthes douglasii (poached egg plant) and by letting poppies and nettles survive weeding. Ladybird eggs are tiny orange eggs normally found on the back of leaves. 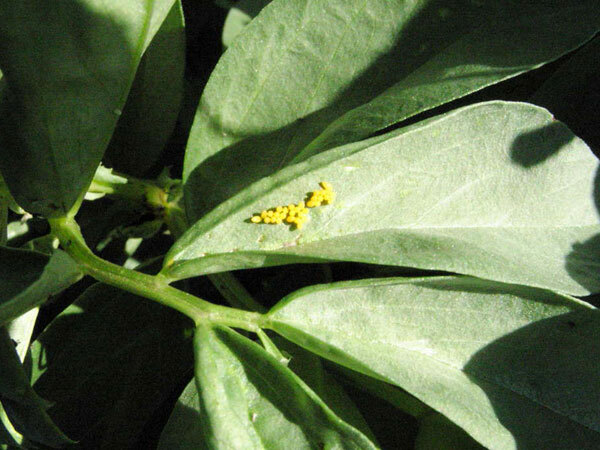 They lay them in clusters of 15 to 20 – if you see them on your beans leave them there to add to your army against the aphids. It’s important to ridge up your potatoes now so they don’t explode through the sides of the ridges and it also keeps the weeds down. It’s easiest to do this in the morning because during the day the leaves wilt down a bit. Stop ridging when the leaves between the rows meet. 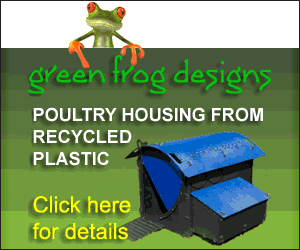 If birds are a pest in your area you can cover your strawberries with netting. 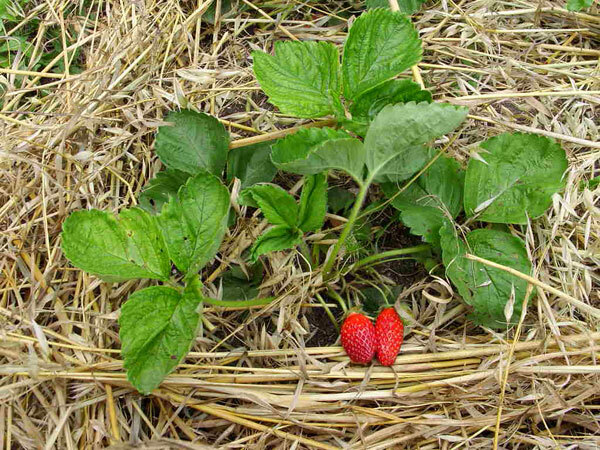 It’s helpful to lay straw under the strawberry plants to keep the fruit clean. 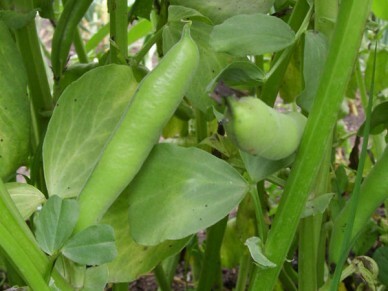 French beans 45cm (18″) between rows, 20 cm (9″) between plants and 5cm (2″) deep. Runner beans need support in the form of tall sticks or canes, these should be spaced 20cm (9″) apart in double rows 1.5m (3″) apart and 5cm (2″) deep. If you’re planting in the three sisters bed you can plant your beans next to the sweet corn when the sweetcorn is 30cm (12″) tall. All beans and peas like a good sprinkle of potash (ash from a wood fire). Celery can be transplanted into its final position 20cm (9″) between plants. Cucumbers can be transplanted now. They do best in a cloche or a greenhouse. They like lots of muck. Leeks grow and keep well so they’re a wonderful crop. They can be transplanted now. If you’ve lifted early potatoes they can go in that ground otherwise you will need another patch of well mucked soil. I use a dibber (a pointy stick) to make holes 15cm (6″) apart, pop in the small leek but don’t press the soil back into place. A good watering is enough to get some soil around the roots. Sweetcorn. If you’ve grown them in pots they can be transplanted now but be careful not to disturb the roots too much. Give them a good water. I put mine in rows 30cm (12″) apart and about the same spacings between plants. 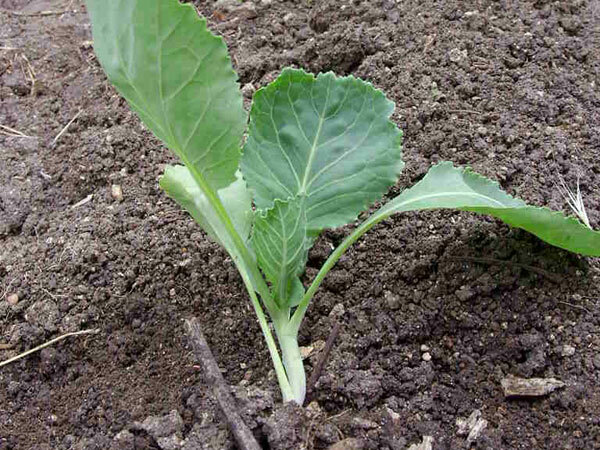 Broccoli should be planted out when they’re a few inches tall and have at least 4 leaves. Transplant them 60cm (2′) apart with 75cm (30″) between rows. All brassica like acid soil. Brussels sprouts should be planted out 90cm (3′) apart. In windy spots you’ll need to give each plant a cane to hold it up. You can inter-crop with lettuce or radish as the spacings are so big by the time the Brussels have grow you’ll have harvested the inter-crop. There should be lots of salad leaves which can be turned into tasty salads. Radishes are another addition to salads. They can be blended up with cream cheese and garlic to make a tasty dip. Bulgarians traditionally make a springtime soup from radishes as it’s pretty much the earliest vegetable you can grow. 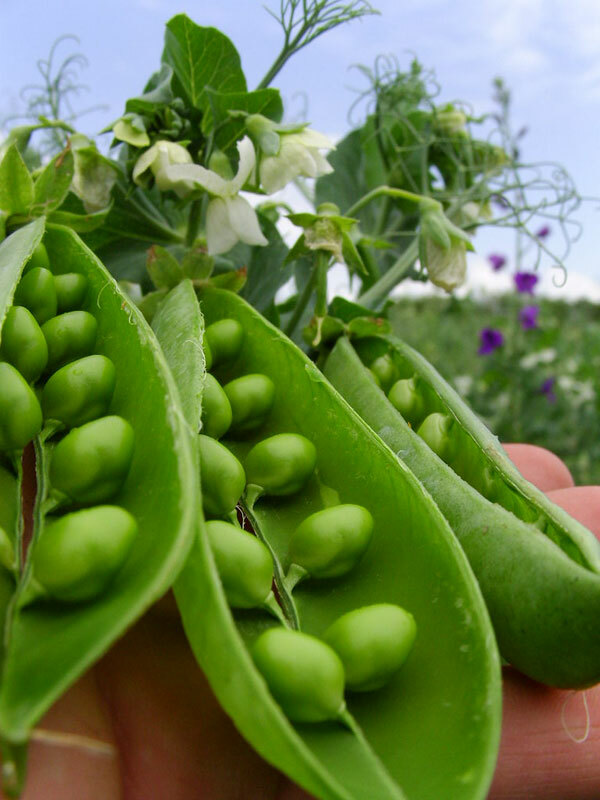 Broad beans are full of protein and great for you, mix them into risottos, have them with a roast or they can be blended into something like hummus. You can dry them for winter use in stews and casseroles. Rhubarb can be picked now. I never pick all the stems I leave a couple so that the plant can put some energy back into the root for next year. Strawberries. You can never have too many strawberries as they are just so good straight off the plant. If you have more than you can eat fresh you can make some lovely preserves, strawberry jam is the most obvious.They lack the necessary pectin to set well on their own, you can use jam sugar but I prefer to mix half and half with apple. Another nice mix is to use equal weights of rhubarb, apple and strawberry. Making jam is simple, use the same weight of sugar as of fruit, chop your fruit up, stick it in a big pan (if the fruit is dry put just enough water to stop them sticking) then pop your sugar in, stir and boil until a teaspoon of hot jam dropped into cold water forms a blob at the bottom. You can use pretty much any fruit you like. Strawberries make a tasty liquor, pop some strawberries in a bottle, fill it up with rum or any other strong spirit add sugar to taste and a bit of lemon juice then leave to infuse for a month shaking every day for the first week. This recipe work very well with cherries too. Early potatoes can be lifted now. They’re great boiled up with lashings of butter and a good helping of salt and pepper.